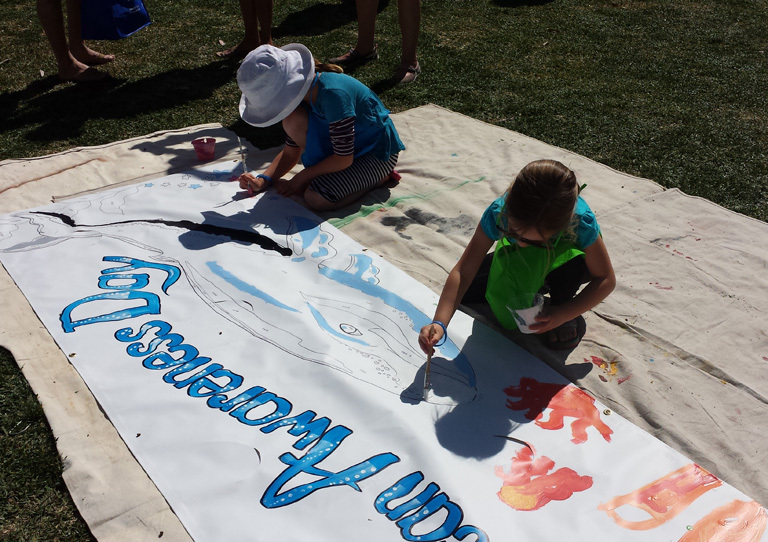 Last weekend I had the opportunity to teach miniature Michalangelos to paint a mural on a banner. Once the banner was full we moved to large paper. I expected to have to help draw, stimulate, and instruct but I was pleasantly wrong. 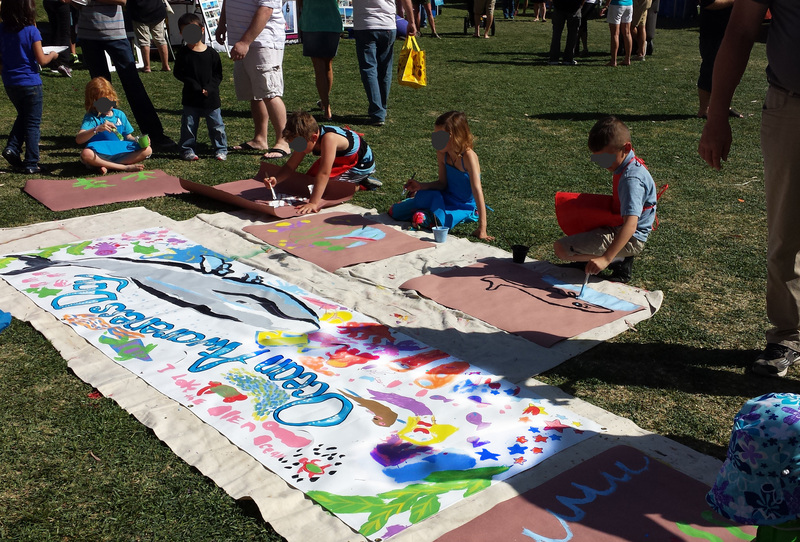 Even the tiniest of these aspiring muralists knew what they wanted to paint and what colors to use. That doesn’t mean I didn’t stick my nose in to encourage color mixing and line work. Even after all of these years I’m still amazed at the ability and creativity of kids. It does my heart good. Next PostPhoto Restoration: Tiny Pic from ’58 Needs a Little Clean-Up.